"I've tried funny math readers, computer software, games and more. Nothing has helped my children get into math--until now! MathTacular is there favorite 'moive'." - Celeste W.
"MathTacular allows our whole family to enjoy real-life math. My kids never ask, "When will I EVER use this stuff?' Great, educational fun... a real must have." - Susan D.
Are your children bored with math? Are they afraid of it? Do they hate it? MathTacular is the answer. 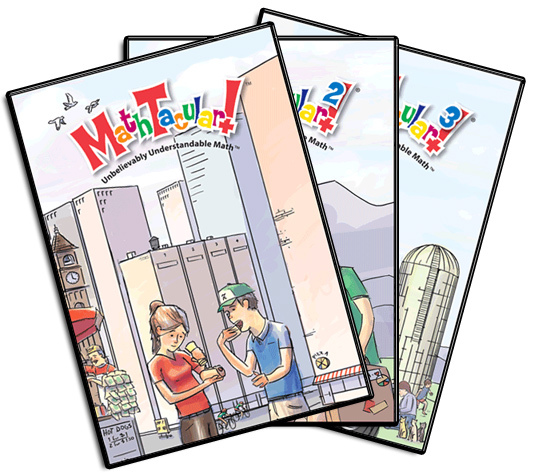 Using creative real-world examples, MathTacular is the easy way to sneak in some Unbelievably Understandable Math™ into the heads and hearts of your kids. And best of all? It's a lot of fun! MathTacular is an easy to use DVD-based math adventure. Our math tour guide, "Professor" Justin, will delight you and your children as he and his friends find themselves facing amusing problems that only math can solve. Don't think you're ready to teach your children math? With MathTacular you don't have to be a math expert -- the DVD does it all for you. Just press "play" and get started! You and your children will have an enjoyable time learning about math together. MathTacular makes math an enjoyable part of life. Whether you're hunting "bears" with Justin, learning about symmetry, or looking for patterns, MathTacular will help your children think -- and smile. Not only that, they'll learn some great math. Math videos featuring boring "talking heads" just don't add up. That's why MathTacular makes math fun through memorable examples, colorful visual learning, and a good dose of humor. Why not order MathTacular DVDs today? 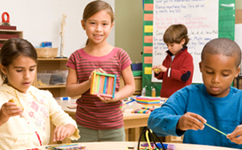 Give 'em a try and watch as your children have a great time learning all about math. Perfect for children ages 4 through 11!